While the violence during the Bharat bandh against the recent Supreme Court ruling of the Prevention of Atrocities (POA) Act led to the death of nine persons, seven of them Dalits, ironically, top Dalit leader, Prakash Ambedkar, who happens to be the grandson of India’s Dalit icon BR Ambedkar, has asserted that suspense remains as to how the all-India protest was organized. 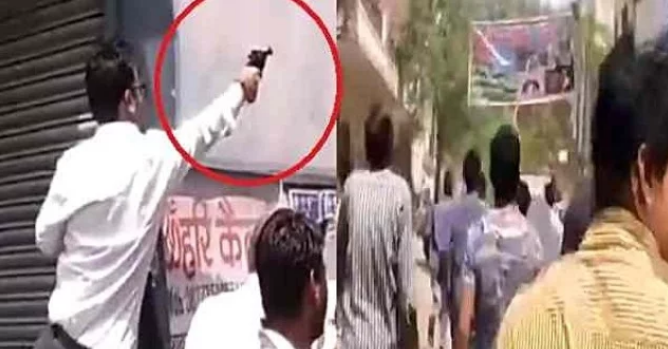 Ambedkar’s suspicion comes amidst a video going viral on social media showing an unidentified man holding a pistol, hiding behind a wall, and firing in Gwalior even as the Dalits were protesting in the city for their rights. There is no clarity on who shot the video. Among others, senior journalist Rajdeep Sardesai seemed to agree with the theory that there was “outsider” hand behind the violence. He said, the Gwalior man with the gun in the photograph which went into circulation was an upper caste. “So my question is: Who fuelled the violence during today's bandh and to whose benefit?”, he asked. Insisting that there was a need to probe on how the deaths in during the Bharat bandh took place, Ambedkar said, he was in talks with several Dalit organisations for a bandh which he proposed for April 9. Even when the talks were on, a message for a bandh call began being circulated for April 2. 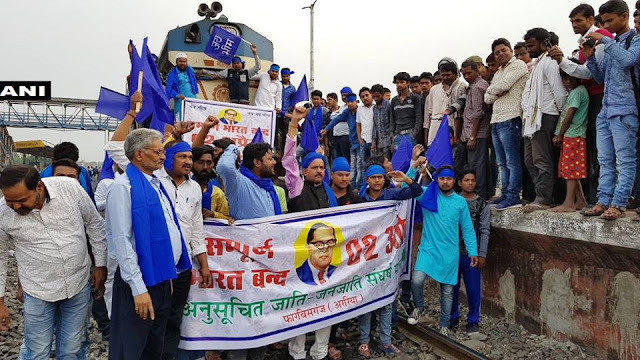 According to Ambedkar, in no time the call for bandh on April 2 “went viral” with at least 15-20,000 Dalit organisations all over north India endorsed it. He added, no one owned the message, and despite effort he was unable trace it to an original source. Pointing out that this only goes to suggest how spontaneous Dalit anger was, Ambedkar said, protests took place without any coordination committee, or discussion, or even a resolution of demands. Dalits came out on the roads in a spontaneous’ outburst. The anger was real and palpable. Even as insisting that the role of ‘outsiders’ involvement should be probed, Ambedkar said, the anger became widespread because the government remained silent on what it proposed to do with regard to POA Act at a time when there was a hike in the atrocities against the Dalits. Ambedkar further said, this anger was further stoked by the active participation of Hindutva organisations in anti-Dalit violence in several states which has been taking place, adding this anger was more evident in north Indian states, which bore the brunt of the violence on April 2. Ambedkar believed, the Dalits were merely responding to the government’s silence on the atrocities committed against them, with the courts dilution of the POA Act coming as the proverbial last straw. Meanwhile, reports are pouring in to suggest that Central agencies are in the dark as to whether it was Bhim Army, National Confederation for Dalit Organisations (NACDOR) or an unidentified Dalit youth, who may have given the call through a WhatsApp message for Bharat Bandh around a week ago. India’s top security brass went into huddle as millions of demonstrators from Dalit organisations, carrying signs with slogans like "Country will be govern by Constitution and not fascism", descended on the streets across the country on Monday, opposing Supreme Court ruling on the POA Act. However, said keen observers, one thing that clearly emerged all through was, India’s law enforcement machinery, including its local intelligence units, failed to assess the situation on the ground.